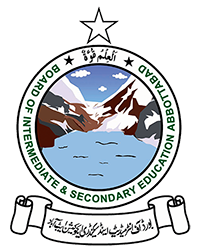 Abbottabad, Board of Intermediate and Secondary Education Abbottabad has received the registration forms from the candidates for their BISE Abbottabad primary and middle classes scholarship annual exams 2018. BISE Abbottabad will start the class 5 and 8 assessment papers will be started from 08-3-2018 to the final paper on 14-3-2018. Abbottabad Board class V & VIII papers will be conducted in the allotted exams centers on the dates, which are mentioned in the date sheet for the class 5th and 8th annual exams 2018. BISE Abbottabad grade V & VIII scholarship exams 2018 will be conducted in the morning and evening sessions respectively. BISE Abbottabad grade 5 annual exams 2018 will be conducted from 09:00 am to 11:00 am and Abbottabad Board grade 8 annual exams 2018 will be held from 12:00 pm to 03:00 pm.